Every morning I make myself a smoothie for breakfast. 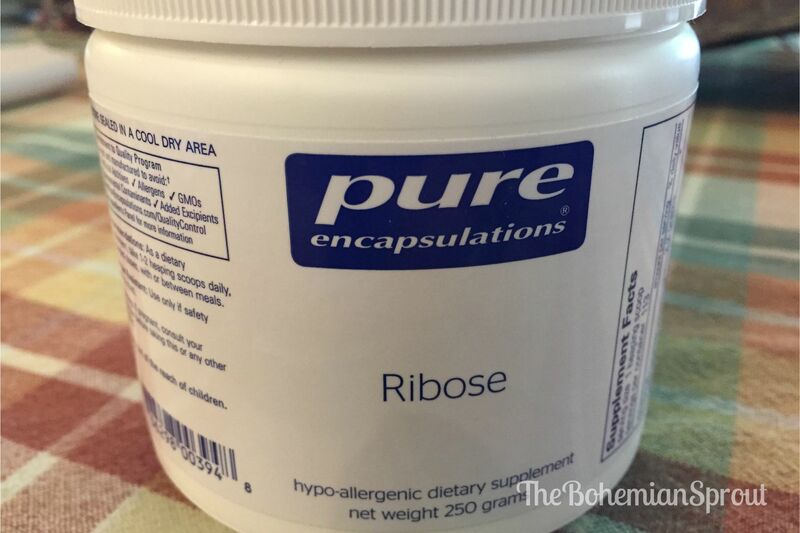 I have Celiac Disease so it’s hard for me to get the nutrients I need in my food. I have to eat nutrient packed food and still take supplements to help. 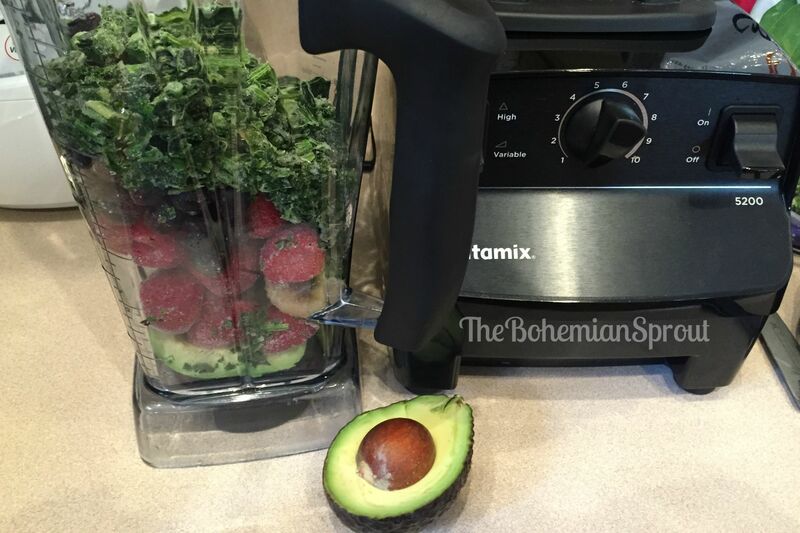 The recipe for this smoothie is delicious and full of vitamins, minerals, and anti-oxidants. I use a Vitamix to blend all the ingredients together. I LOVE this machine. It blends things completely smooth in seconds. It’s been a life changer for me! First put your chia seeds in a small bowl and add 1/4 cup of water. This will soften the seeds so you don’t have little seeds in your shake. 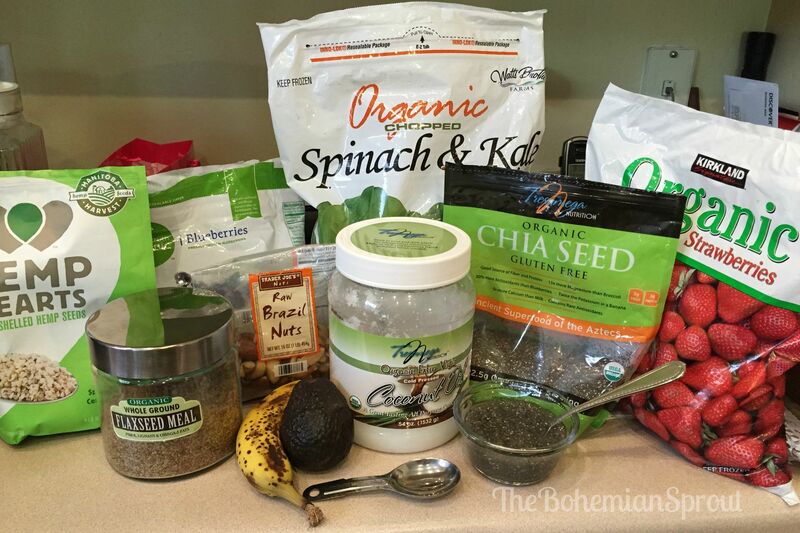 Then measure and put all of the other ingredients into your blender. By the time I measure everything else, the chia seeds are ready to go in. Add water to make it the consistency you like. Mix on high until smooth. 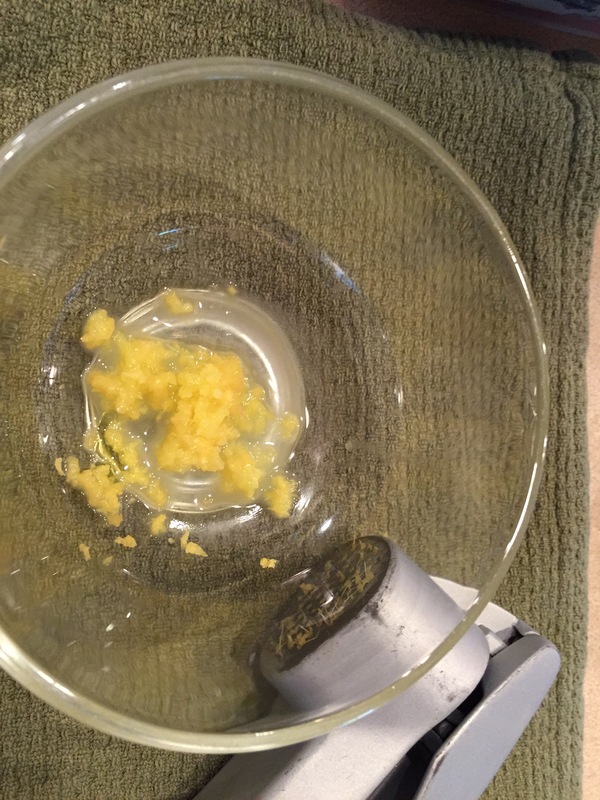 About 30 seconds with a Vitamix. If you don’t have a powerful blender you may want to blend each ingredient as you add them rather than putting them all in at once. *Those with Celiac Disease can add a tablespoon of coconut oil to this smoothie to increase your fat intake since we don’t absorb fat as well as a healthy person. *Those concerned with their fat intake can leave out the avocado. 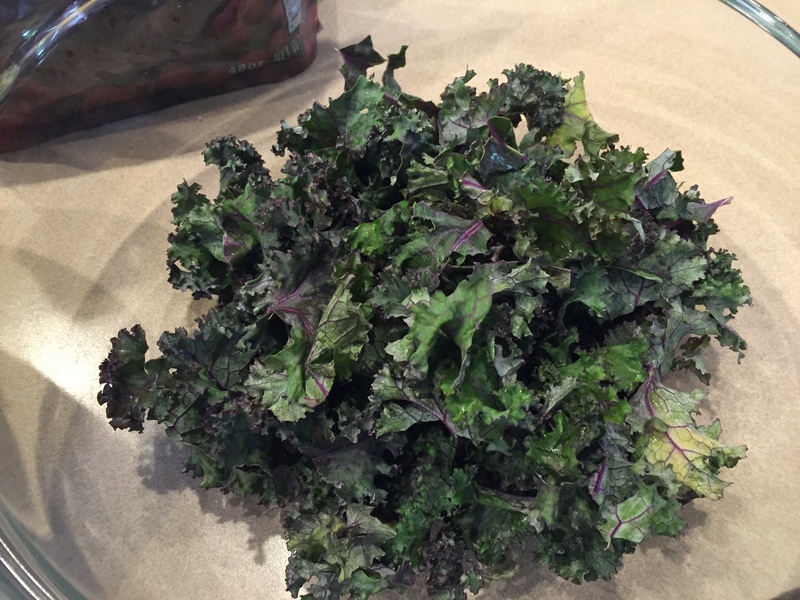 Kale is such a powerhouse of nutrients. 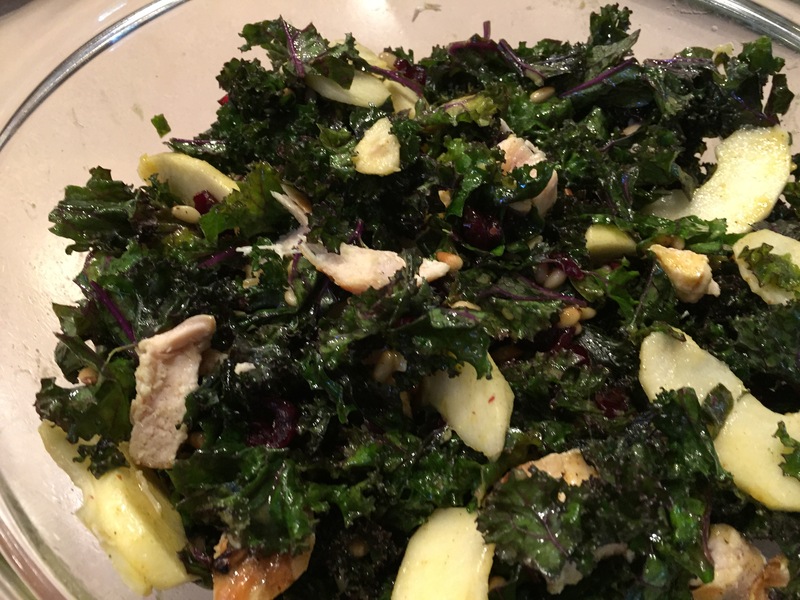 I’d tried so many recipe with kale, and while many of them were okay, none were wonderful. I’ve finally found a recipe that we love and make often. Add apple, toasted pine nuts, and dried cranberries. 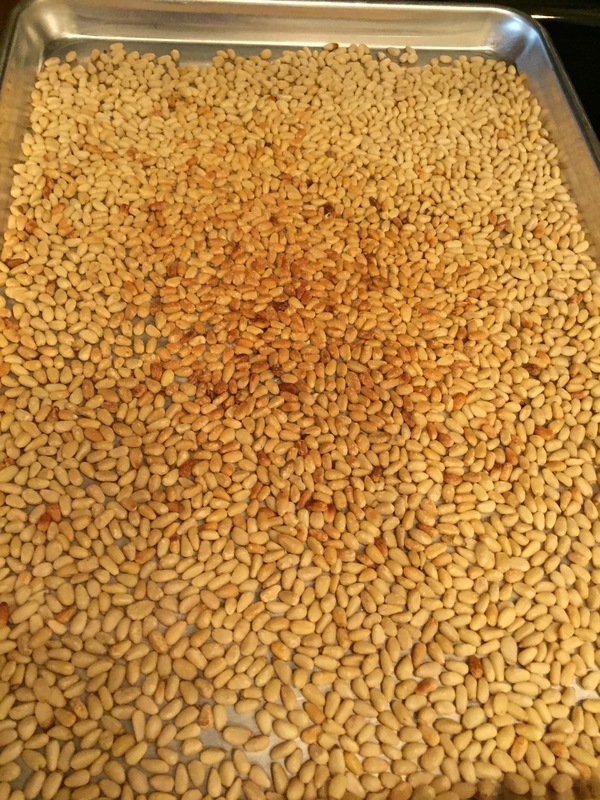 I toast the pine nuts ahead of time. Turn the oven onto broil. Place pine nuts on a cookie sheet. Put them in the oven and then watch them carefully. They burn very easily. You have about ten seconds between just right and burnt. I’ve burned them enough times that I’ve learned my lesson. (Pine nuts are pretty expensive, so I couldn’t afford to risk it anymore.) I do a whole cookie sheet at a time and freeze what I don’t use immediately. 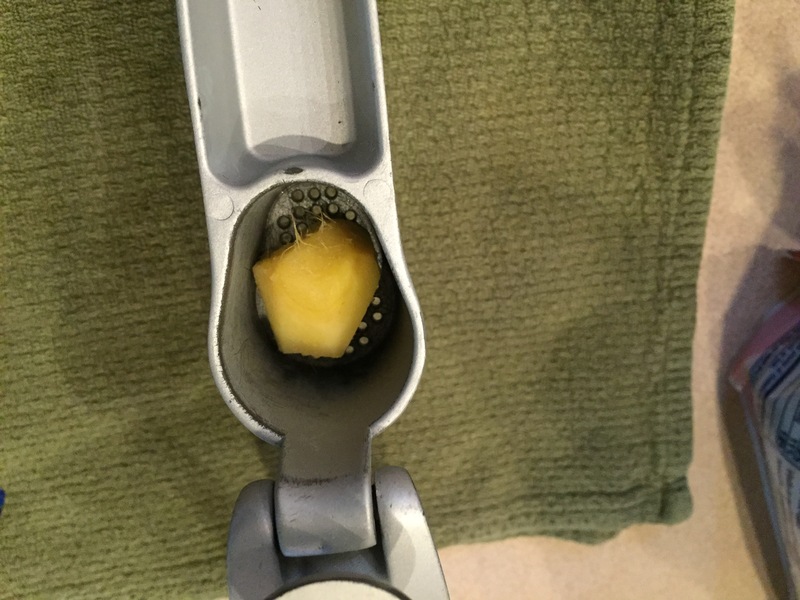 I use a garlic press for the ginger. You have to score the ginger a bit so it’s not too hard to press. This works great and lets you keep all the ginger juice as opposed to leaving it on the cutting board. Mix all the ingredients in a small bowl. 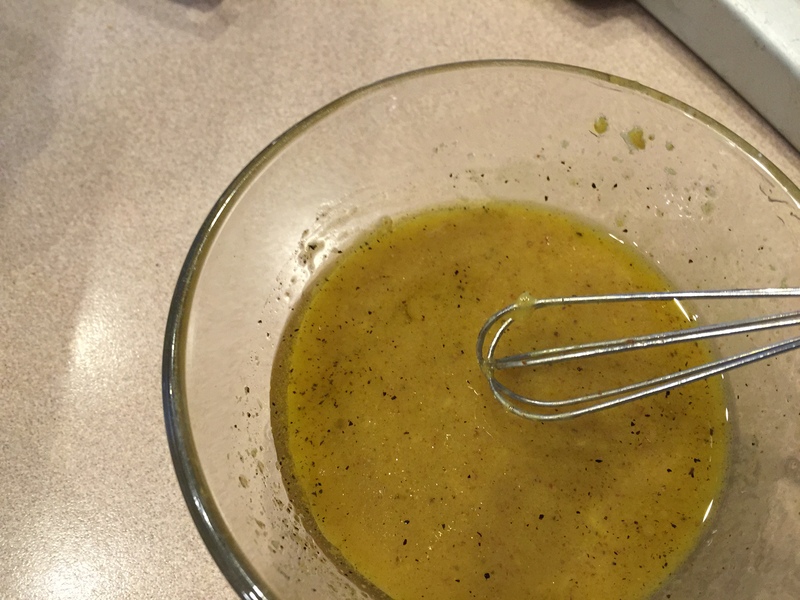 Whisk together and pour over salad. Toss well. 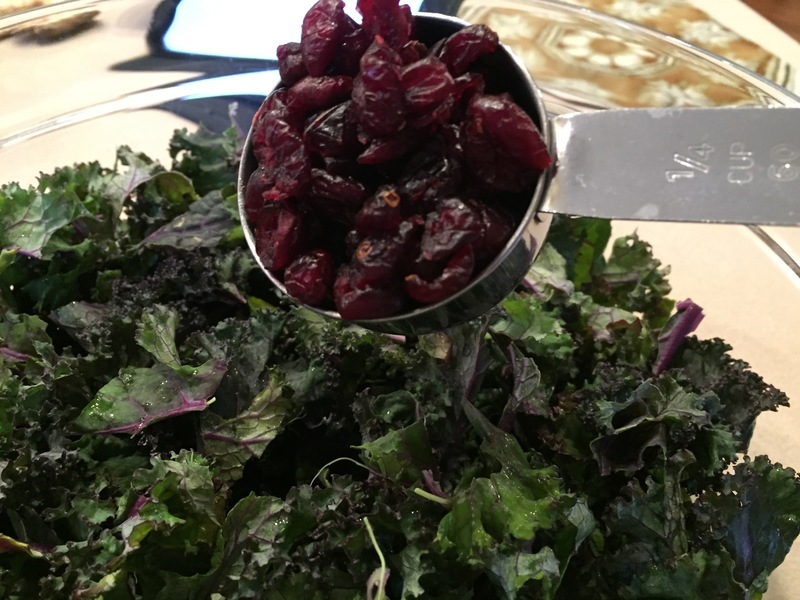 Now your salad is ready. We eat it just like this if it’s a side salad. On other occasions we eat it as our main dish. In that case I usually grill some chicken breast, cut them up, and add them to the salad.